As I write my own tools for IR Hunting and Post-Expoitation I like to have a large realistic set of AD accounts and also accounts with accentuated and not english characters to make sure my tools will work in large environments and also simulate multiple geographical locations since most customers are not US based. When creating realistic user accounts I have found no better source that using http://www.fakenamegenerator.com it allows me to order a CSV with a large amount of realistic looking users and their details. Once the fields have been selected I simply specify the number, the email and enter the captcha to get the accounts via email. Now once I have the CSV in my experience they tend to have repeated usernames, also I have found my self missing one or more of the fields when I selected what to include in the CSV so I wrote a series of PowerShell functions I can use when working with the data. The first function is a simple one that allows me to test that the CSV contains all the fields I want. It simply extracts the header from the CSV and checks against a list. Test a CSV from FakeNameGenerator.com for required fields. # Test if the file exists. Write-Verbose -Message "Testing file $($Path)"
Write-Error -Message "File $($Path) was not found or not a file." # Get CSV header info. The next function will remove any duplicate username entries, I have found with large samples that it is inevitable for some of the usernames to be duplicated. This function uses a lot the pipeline so as minimize memory use, not the fastest but when dealing with several thousands of fake user details in a VM environment with limited memory it becomes an acceptable tradeoff. 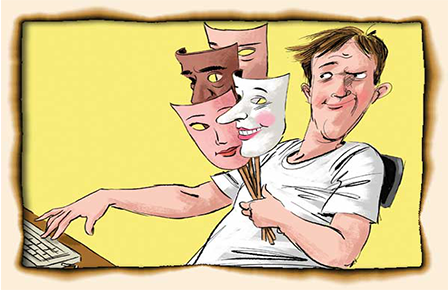 Removes duplicate username entries from Fake Name Generator generated accounts. Write-Error -Message "File $($Path) is not valid." The last function does the importing of accounts from the processed CSV with duplicate usernames removed in to a specified OU. The function will create OUs under the specified one for each country in the account set. Imports a CSV from Fake Name Generator to create test AD User accounts. $ou = Get-ADOrganizationalUnit -Filter "name -eq '$($OrganizationalUnit)'"
Once it finishes you should now have a nice set of test accounts in AD for you to use. Of the 3,000 accounts only 2,182 where unique when it came to username, still a very good number for testing. In the future I will probably make it so when it finds accounts with repeated usernames, Surnames or LastNames to add a random string to each. As Always I hope you find the information useful. This entry was posted in Uncategorized on August 26, 2016 by Carlos Perez. Since 2010, Mandiant, a FireEye company, has presented trends, statistics and case studies of some of the largest and most sophisticated cyber attacks. In February 2016, we released our annual global M-Trends® report based on data from the breaches we responded to in 2015. 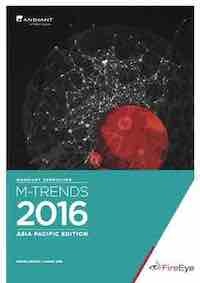 Now, we are releasing M-Trends Asia Pacific, our first report to focus on this very diverse and dynamic region. Most breaches in the Asia Pacific region never became public. Most governments and industry-governing bodies are without effective breach disclosure laws, although this is slowly changing. The median time of discovery of an attack was 520 days after the initial compromise. This is 374 days longer than the global median of 146 days. Mandiant was engaged by many organizations that have already conducted forensic investigations (internally or using third parties), but failed to eradicate the attackers from their environments. These efforts sometimes made matters worse by destroying or damaging the forensic evidence needed to understand the full extent of a breach or to attribute activity to a specific threat actor. Some attacker tools were used to almost exclusively target organizations within APAC. In April 2015, we uncovered the malicious efforts of APT30, a suspected China-based threat group that has exploited the networks of governments and organizations across the region, targeting highly sensitive political, economic and military information. Download M-Trends Asia Pacific to learn more. This entry was posted in Blog, bryce boland, Detection, Latest Blog Posts, M-trends, Response, Threat Intelligence, Threat Research on August 24, 2016 by Evan Pena. As we dig deeper into our analysis, we found out that these macro scripts are not crafted manually. The malware authors have automated the creation and obfuscation of their code. This type of random obfuscation is one way of evading antivirus engines. As outlined below, our research highlights several methods employed to dynamically evolve the attack vector to circumvent detection. From the malicious emails we have gathered, we will examine the attachments to analyze key differences and common characteristics. We were able to find blocks of code that shares common structures. Remember that these codes were found on a different part or index of the module. From programmer’s perspective, this may seem a little odd to see codes like this, but as the analysis continues, we can say that this is just one part of the malware author’s strategy to hide the code and confuse incident responders. Additionally, and maybe more significant, is the activity of these scripts. You will also notice the highlighted strings are surrounded by what we can now assume are garbage code for misdirection and to further obfuscate malicious code. At this point, the payload of the downloaded Zepto ransomware will take over. As observed with the Zepto downloaders, the scripts also varies with the encrypted URLs. Below are some of the URLs from which the monitored scripts attempted to download Zepto. Imagine how many of them are generated and how many various structured scripts are available in the wild. Zepto is not only distributed through macro scripts, there are also JavaScrip and wsf script downloaders. With some twists of social engineering, creativity and advanced programming skills, cybercriminals are becoming increasingly adept at delivering Zepto and other ransomware payloads to both business and home users. Never enable VBA macros by default for any Microsoft Office application. Some macro malwares even tell you how to enable macros or may mislead you in doing so. The post Zepto Evasion Techniques appeared first on ThreatTrack Security Labs Blog. This entry was posted in donoff, engine limitation, evasion, Featured, ransomware, Web threats, zepto on August 24, 2016 by ThreatTrack Security Labs. Research: SentinelOne, Tim Strazzere Hiding in plain sight? This entry was posted in datastealer, Linux, MType Infostealer on August 23, 2016 by Mila. Recently, we’ve spotted Zepto ransomware spreading through spam email containing fake invoices (see image below). These attachments contain a Macro-Enabled word document file known as Donoff, which downloads the Zepto executable that encrypts all your files and will later ask for payment of the decryption key. At first glance, the code is fully commented in Spanish and uses some random generated variable names. The Word document contains two macro functions, autoopen and ActualizarEntrada. Here are more snips of code showing the processing of obfuscated text. These are the strings revealed after deobfuscation. This VBScript uses Microsoft.XMLHTTP and Adodb.Stream Objects to download Zepto. The Microsoft.XMLHTTP object is one of Microsoft’s XML DOM (Document Object Model) modules that is intended to deliver client-side access to XML documents on remote servers through the HTTP protocol. This object is used to request or send any type of document. The ADODB.Stream Object is used to read, write and manage a stream of binary data or text. Here’s the code that downloads the encrypted Zepto executable file. The encrypted file is stored to the file system as TempWFDSAdrweg. It then uses this key Aw3WSr7dB3RlPpLVmGVTtXcQ3WG8kQym to decrypt and stores the decrypted binary to the file sysdrubpas.exe in the %temp% folder. %temp% folder is usually the C:\Users\<username>\AppData\Local\Temp folder. The script then executes sysdrubpas.exe infecting the system of the user. The ThreatAnalyzer Behavioral Determination Engine flags this as 100% malicious file and was able to find dozens of suspicious behaviors. One notable common behavior of ransomware is how it deletes shadow copies to prevent easy restoration from Windows backup. Other behaviors are very similar to our previous post about Zepto ransomware: https://blog.threattrack.com/ransomware-packed-into-wsf-spam/. 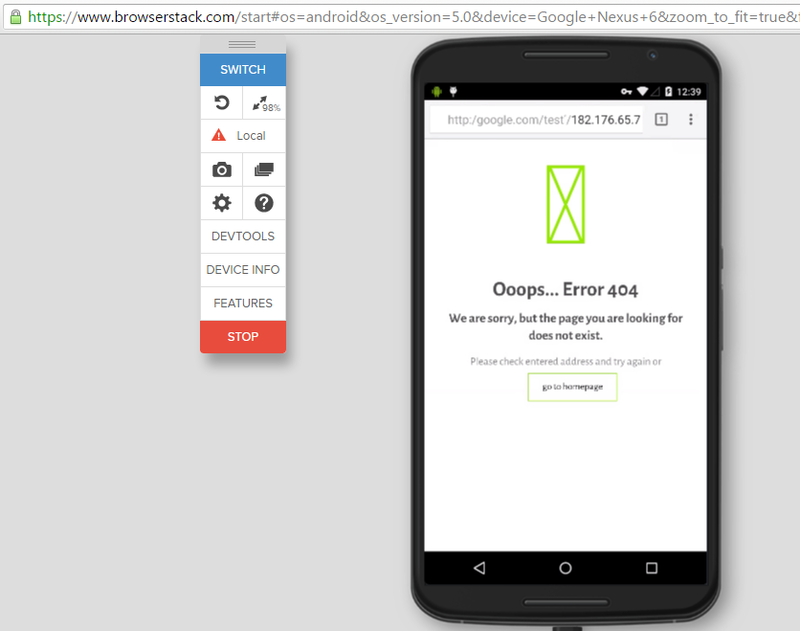 The post Donoff Macro Dropping Ransomware appeared first on ThreatTrack Security Labs Blog. This entry was posted in donoff, infected macro, macro malware, Malware, ransomware, threatanalyzer, ThreatTrack Security Labs, Web threats, zepto on August 21, 2016 by ThreatTrack Security Labs. This entry was posted in Uncategorized on August 20, 2016 by 4n6k. This entry was posted in Uncategorized on August 20, 2016 by BHIS. This entry was posted in Uncategorized on August 17, 2016 by Cisco Event Responses. Download. Email me if you need the password. This entry was posted in Lady.Linux, Linux on August 16, 2016 by Mila. The following is the logical order of characters in the memory. Since, Omnibox removes"http://" and displays strings without "http://" prefix. The following is the display order of characters after the browser removes the leading "http://", decodes the percent-escaped bytes, and applies the bidirectional algorithm. 2) You would notice that the URL has been flipped from Right to left and the browser displays http://google.com/test/182.176.65.7 while it displays the content from the IP address. The IP address part can be easily hided specially on mobile browsers by selecting a long URL (google.com/fakepath/fakepath/fakepath/... /127.0.0.1) in order to make the attack look more realistic. In order to make the attack more realistic unicode version of padlock can be used in order to demonstrate the presence of SSL. As you can see from the above screenshot that the page is hosted on عربي.امارات , however the address bar points to google.com. Variation of similar vulnerability has also been discovered in several other browsers that are still undergoing a fix there i am refraining from disclosing them. Details will be disclosed, once a fix has been landed. RFC 3987 § 4.1 states that "Bidirectional IRIs MUST be rendered in the same way as they would be if they were in a left-to-right embedding. ", therefore setting paragraph direction to LTR fixes this issue. This is a known issue and has already been discussed in great detail here. I am highly indebted to "Matt Giuca" from the Google Chrome team for his extensive help on this issue and "Tod Beardsley" for handling the disclosure. The total bounty rewarded for all bugs combined was 5000$. This entry was posted in Uncategorized on August 16, 2016 by Unknown. This entry was posted in black hat, Black Hat USA, BlackHat, Blog, cyber security, Cybersecurity, Detection, Fakenet, Grady Summers, Malware, Malware Analysis, Malware Analysts, open source, open source tools, Podcast, Reverse Engineering, Threat Research, Vulnerabilities on August 12, 2016 by Evan Pena. Here is my opinion on FPC. You could use a tool like wget or Spondulas to download the code, or you could use a sand boxed machine to browse to the URI and view the source. You could put the URI into some online site checker and see what it finds. You could check the reputation of the domain. But, what if you are capturing full packets going in and out of your network to the Internet? You CAN do intrusion analysis without FPC, but you can't do it as quickly OR as effectively. Flow data and logs and threat intelligence are all fine (well, maybe not so much on the threat intelligence) but having packets trumps them all. This entry was posted in fpc, full packet capture, moloch, NetWitness, packets, steelcentral packet analyzer, wget spondulas on August 11, 2016 by JeffSoh. This entry was posted in Uncategorized on August 10, 2016 by Team Potato. This entry was posted in Uncategorized on August 9, 2016 by Cisco Event Responses. Revision Note: V1.0 (August 9, 2016): Click here to enter text. This entry was posted in Uncategorized on August 9, 2016 by Latest Security Advisories.